The course builds on the professional experience and knowledge students have gained over this period, and is intended to assist them acquire the appropriate skills, awareness and abilities to demonstrate professional competence and integrity. The course is prescribed by the Architects Registration Board and validated by the Royal Institute of British Architects; successful students can apply for registration as an architect with the ARB and for chartered membership of the RIBA. Professional architectural practice is being provided through a diverse and increasingly broad range of activities, frequently with conflicting demands. Architects must be able to navigate through the wide spectrum of legislative, regulatory, statutory and commercial constraints, and act ethically and with integrity to provide and communicate appropriate and effective professional services to clients, stakeholders and the wider society. 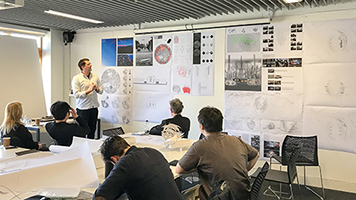 The RIBA Professional Practice Part 3 course helps students to be aware of, reflect on and act in accordance with these disparate aspects, in support of their architectural aspirations and skills. 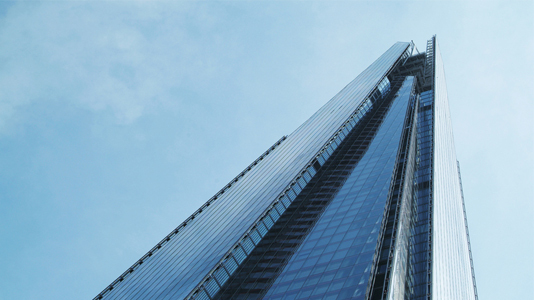 Why take the RIBA Professional Practice Part 3 at LSBU? Individual or multiple lectures can be taken for CPD, subject familiarisation or refreshment, without taking the exam. Established and informed Professional Practice course and examination, commended by the RIBA. Variety in teaching and support: 20+ lectures by experts and practitioners, group and one-to-one tutorials, peer-learning and review, exam preparation, interactive role-play and simulated professional interviews. Smaller cohort sizes promoting and facilitating greater engagement and participation with the course team, invited lecturers and other students on the course. Support in professional experience including PEDR monitoring. Part-time course that can be completed in 10 months, subject to appropriate employment experience, and achievement of appropriate standards through examination. The course comprises the following modules. This module provides the 20+ series of lectures that cover all topics in the Professional Criteria at Part 3, and the two limited-open-book written examinations. The written examinations take the form of a 1.5 hour paper comprising 20 short questions, and a 3-hour paper comprising 5 questions based on an unfolding scenario. This module is work-based and comprises an illustrated 8,000 word study of a project of your choice with which you have been directly involved. It allows you to demonstrate your judgment, understanding and knowledge of the professional and legal circumstances of the project through analysis, critical evaluation and personal reflection. The final qualification in the study of architecture is the Part 3, in which 5 years’ academic education and a minimum of 2 years’ professional experience is crystallised and evaluated against the minimum standards set by the profession for the competence and conduct of an architect. The RIBA Professional Practice Part 3 course is prescribed by the ARB and validated by the RIBA, and validation cycles ensure that course content and outputs remain completely relevant and retain close appropriateness to professional practice. The course was commended by the RIBA in its re-validation in 2018. Whilst the university has no means to ensure the economic situation nationally and globally will guarantee employment, the work graduates will have completed at the end of this course is intended to make them competitive in employment. Successful completion of the course and passing all parts of the RIBA Professional Practice Part 3 enables candidates to register as an architect with the Architecture Registration Board (ARB) , and join the RIBA as a chartered member. The professional membership organisation the Royal Institute of British Architects (RIBA) champions better buildings, communities, and the environment through architecture. The RIBA provides guidance on professional standards, training, support, and recognition that puts members around the world at the peak of their profession. The Architects Registration Board (ARB) is the UK's statutory body, and operates a register of architects, ensuring that graduates from our courses are competent to practice. 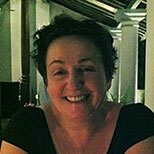 Kathy is a Senior Lecturer in Architecture, Professional Skills Lead and RIBA Part 3 Course Director. Students are supported throughout their studies by a range of approaches to teaching and learning. Small group tutorials provide a high degree of contact with students to assist the development of their case studies, and reviews of their experience. Further support is provided through large group seminars, tutorials and role-playing workshops at which role-play. Students are strongly encouraged to set up informal study groups with others planning to take the Part 3 examination. The Course Director will provide contacts at the start of the course, but individual candidates should take the initiative in setting up such groups, which are known to be helpful in sharing experience and understanding of practice issues, providing mutual support in examination revision and focussing effort on priorities. Alongside the support offered by academics and technicians in the school, the University offers a range of services to help with learning support needs. The Skills for Learning Team (S4L) is a division of the Centre for Research Informed Teaching (CRIT). The team provides a flexible service to all students enrolled at LSBU and supports you to develop your academic literacy and enhance your academic and professional performance to achieve your full potential. Our academic practices, English language development and maths and stats provisions are taught by experienced teachers. The course and examination are open to students who have obtained their ARB/RIBA Part 1 and Part 2 qualifications, or their equivalents as recognised by the Architects Registration Board. At the time of entry into the examination, candidates should have recently completed a minimum of 24 months' suitably recorded appropriate professional experience under the direct supervision of a professional working in the construction industry which should include at least 12 months working in the EEA, Channel Islands or the Isle of Man, under the direct supervision of an architect.